Dim Sum!, originally uploaded by mysteryship. 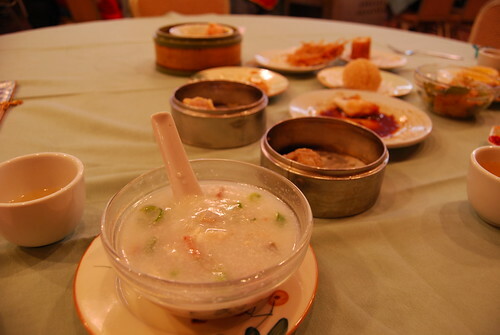 from the Best View in Brooklyn photo pool on flickr comes this lovely photo of congee and dim sum. Thanks to mysteryship's photostream. If you have cool Sunset Park photos, join in! 8th Avenue Seafood is on 8th between 44th and 45th. If you're interested in more than dim sum at 8th Avenue Seafood, check out this link to a description of a full-on meal, including a melon-flavored fish made of jelly.